« Access to Canigó to be restricted? The region had previously organised seven meetings and an Internet forum which had harvested no less than 5000 propositions (although some were duplicates, of course)! These had been winnowed down so that at the start of the previous meeting in September only twenty-four were left. By the end of the day only five actions remained. The region sees the future Parliament as a “think tank”. So the meeting at Quillan was merely to inform the stakeholders of the five winners, the five other projects which needed more work and a further four propositions which would be considered in 2019. This Occitan ‘mountain’ is a very strange shape. In fact there are two distinct areas: the Massif Central and the Pyrenees. This doesn’t really worry me. After all, they share many of the same issues. 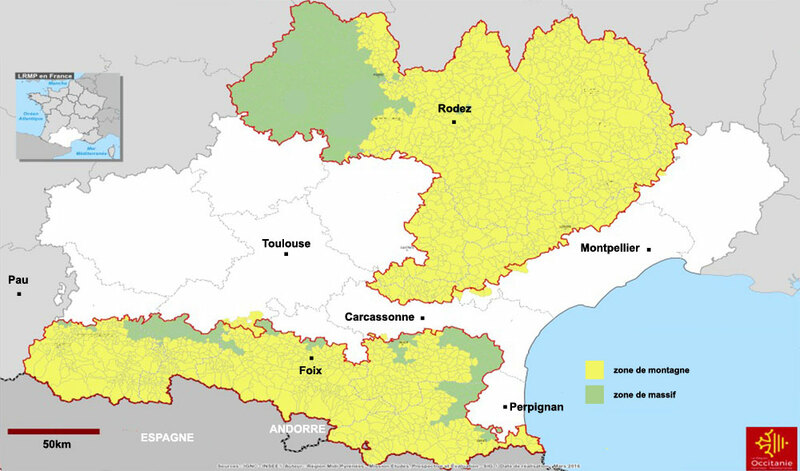 But what does worry me is the fact that the ‘Occitan’ part of these mountains is only a small part of the each massif, around a quarter in each case. It is clear that the Occitanie Region cannot make decisions about what happens in other regions and indeed in other countries, but there seemed to be little acknowledgement in Quillan that the mountains extended beyond the administrative boundaries. A single example is enough to show of the importance of a wider perspective. It is quite clear that the wild animals living in the Pyrenees do not recognise the international frontier. 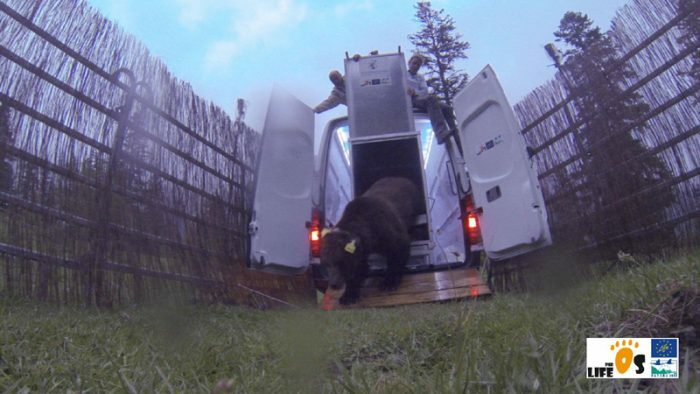 Although the brown bear Goiat, was released in Spain in 2016 he has since spent much of his time dining in France, where he seems to have acquired a taste for horsemeat. 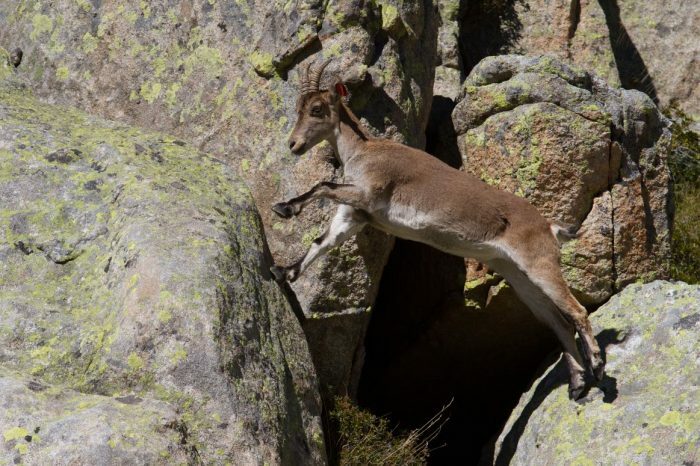 Les controversially, the reintroduction of the ibex into the French Pyrenees is one of the consequences of the Pyrenean Biodiversity Strategy signed by France, Andorra and Spain. Another participant suggested that we have things to learn from developing countries. Let’s broaden our horizons! 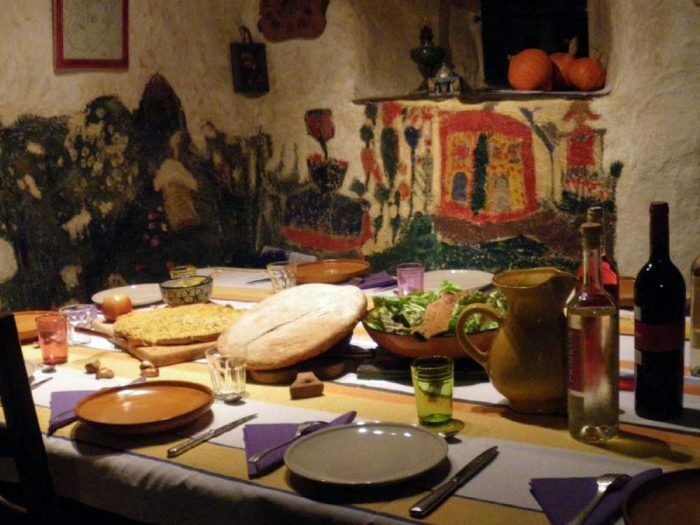 And encourage people from beyond the artificial borders of Occitanie to participate. Thankfully the organisers had thought to organise a buffet lunch for the participants as most of us came from some distance. Whilst nibbling I took the opportunity to talk to some of those other people who, like me, seemed to be on their own. For them, as for me, it was the first time they had participated. Diverse, yes, but only to a certain extent and large segments of the mountain population were absent. I was unsurprised by the exclusively white faces. * But only 10% were women. Thankfully Aurélie Maillols was there to improve the balance – she is the regional vice-president with special responsibility of mountains and the countryside. She organised the event and was one of the main speakers. But what about young people? Looking around I could see hardly anyone under forty. Mme Maillols and her colleague Romain Pagnoux were notably young. This diversity audit isn’t meant as a criticism. This kind of meeting never attracts youngsters. On the other hand, as my sample shows, the audience wasn’t only professionals and politicians. And I am really pleased to report that the projects selected are aimed at a wide sector of the population. If everything goes according to plan, the region will approve the creation of the Parliament and its budget on 21 December 2017. From that moment on, anyone can join in, as long as they promise to adhere to the charter. And then the real work starts. Very few face-to-face meetings but extensive use of the possibilities of the Internet. So far 384 stakeholders have volunteered. 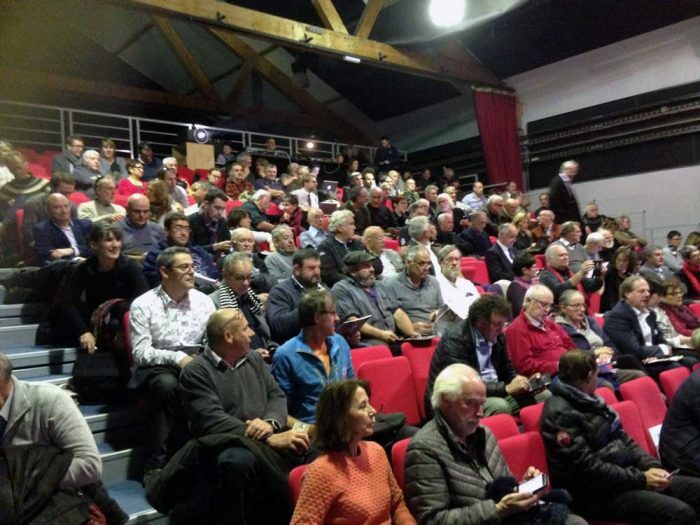 Before the end of the year there will be another important meeting in the area, the États Généraux du Pastoralisme [Convention on Pastoralism] which will take place in Foix on Saturday 9 December. *This is a subject worth investigating. Why is the ethnically diverse metropolitan population so under-represented in the mountains, in terms of inhabitants but above all in terms of visitors? This entry was posted on Thursday, November 30th, 2017 at 5:00 pm	and is filed under Uncategorized. You can follow any responses to this entry through the RSS 2.0 feed. You can leave a comment below, or trackback from your own site.